Ikea just published a new YouTube video on Thursday that reveals a few more details about the Uppleva TV set it is going to start selling in select European stores next month. The video was shot at the Milan Furniture Fair, where Ikea showed the device to the public for the first time. 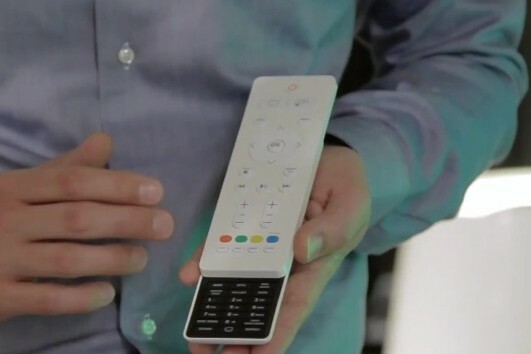 The video also features extensive comments from Uppleva designer Francis Cayouette, who said that he has been very involved in making the Smart TV UI as well. As a side note, Ikea is probably the only company in the world that would include a guy admitting that a product just doesn’t work for him in official promotional footage. Odd, but charming. Ikea’s Uppleva TV sets are slated to go on sale in select stores in Italy, France, Germany, Poland and Sweden in a few days, and then become more widely available throughout Europe this fall. Uppleva won’t be available in the United States until 2013. We reported earlier this month that the Ikea TV will feature apps for YouTube, Dailymotion and TuneIn Radio, amongst others. Oh my goodness, Ikea has invented the CONSOLE TELEVISION, the staple of television sales from the 1960’s and ’70’s. You remember, pretty wooden cabinets with a TV, Stereo, and HiFi Turntable, all integrated into one attractive cabinet, designed in several styles to integrate with popular decors. Is it odd to anyone else that stores now assume television is as necessary as furniture? Am I the only one who finds most television boring, uninformative, biased and coma-inducing? Reblogged this on Ode To Capitalism.